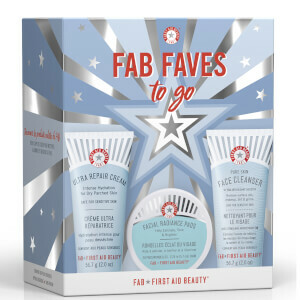 FAB 5 in 1 Face Cream with SPF 30 is the ultimate multi-tasking face cream formulated to help prevent and combat the signs of aging while moisturizing, nourishing and protecting the skin. It is the ideal all-purpose anti-aging moisturizer. Helps to prevent and reduce wrinkles. Apply a generous amount over entire face once or twice daily. Reapply ever 4 hours when in direct sunlight or if you get wet. 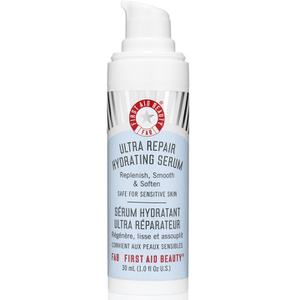 Active Ingredients: Octinoxate 5.6%, Octocrylene 7.5%, Zinc Oxide 4.8%. Other Ingredients: Water (Aqua), Glycerin, Dimethicone, Caprylic/Capric Triglyceride, C12-15 Alkyl Benzoate, Hydrogenated Lecithin, Caprylyl Methicone, Copaifera Officinalis (Balsam Copaiba) Resin, Phenyl Methicone, Enteromorpha Compressa Extract, Caesalpinia Spinosa Gum, Bisabolol, Alpha Arbutin, Phyllanthus Emblica Fruit Extract, Glycyrrhiza Glabra (Licorice) Root Extract, Camellia Sinensis Leaf Extract, Chrysanthemum Parthenium (Feverfew) Extract, Hydroxylated Lecithin, Polysilicone-11, Methicone, Polyhydroxystearic Acid, Hydroxethyl Acrylate/Sodium Acryloyldimethyl Taurate, Copolymer, Isohexadecane, Polysorbate 60, Xanthan Gum, Sodium Benzoate, Potassium Sorbate, Glyceryl Polyacrylate, Citric Acid, Phenoxyethanol. I'm always on the lookout for a good day cream with ample UV protection and the FAB cream provides SPF 30, so it is great on that account. I also avoid parabens and so does this formula. (And the folks at FAB also commit to avoiding other nasty ingredients. )The cream is smooth and easy to apply. It absorbs quickly, is non-greasy, doesn't cause breakouts, and is beneficial to the skin. I recommend it!